Vitalis blogs and travels throughout North America to find new springs and speak about “rewilding,” a term he uses for people getting back in touch with natural elements of the earth. When people visit a spring to gather water, he said, a transformation occurs: the source of the water that goes into their bodies shifts from the marketplace to the Earth. 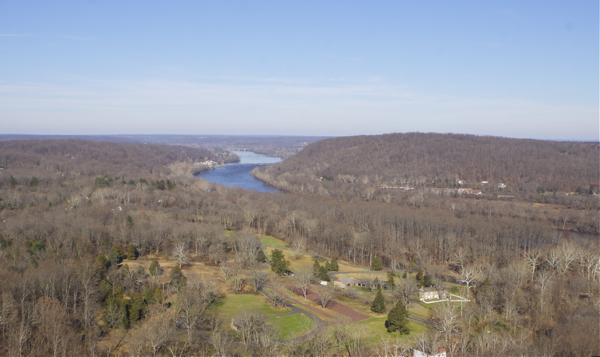 This is Part Three of our Clean Water series, looking at how DEP has fallen down on the job of protecting water resources (with an important end note for wonks only]. The policy of the 1990 Clean Water Enforcement Act (CWEA) is the exact opposite of the Christie Administration. So, release of the legislatively mandated CWEA annual report would shine a bright light on these sharp contrasts and provide an opportunity for the public to understand how the DEP was reconciling the Legislative mandate of the CWEA with the Governor’s policies. Is DEP honoring the will of the Legislature or the Governor? Is strict enforcement being compromised? Are enforcement fines going down? We don’t know, because DEP has not issued the mandated annual report for the enforcement performance of the Christie Administration. Annual Reports are due by March 31, a date timed to allow legislative consideration during DEP’s annual budget review. I don’t recollect DEP ever falling over 2 years behind in issuing the annual report, so this delay probably is not an accident. 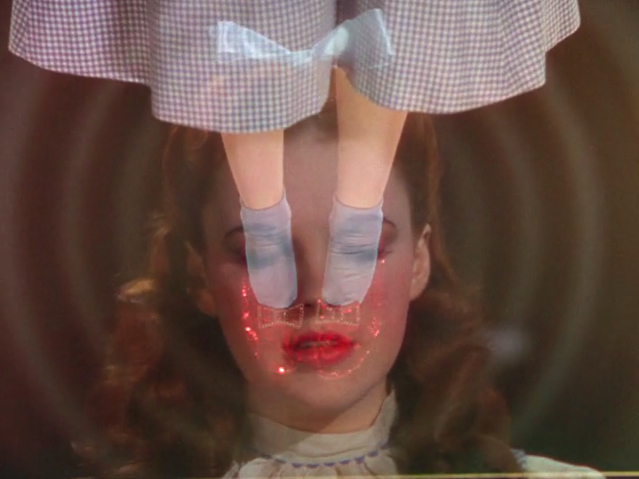 So, let’s look more closely at those contrasts. The CWEA mandates annual facility inspection and sets mandatory penalties for permit violations, thereby eliminating DEP discretion and flexibility. In fact, the key feature and primary objective of the Act was to eliminate DEP discretion. The Legislature determined was necessary after studies showed that DEP had systematically abused its “enforcement discretion”. The data revealed that DEP had failed to take enforcement action in over 90% of violations of water pollution control permits, making those permits a joke. The philosophy of the CWEA is enforcement driven and punitive. The Act created a regulatory program that promotes compliance via strict penalties, not incentives, cooperative partnerships, compliance assistance, voluntary compliance, and informal dispute negotiation approaches. As such, in its key features the CWEA provides a sharp contrast with the Christie Administration’s pro-business anti-regulatory policy. The Christie policy is epitomized by the DEP waiver rule, which is designed to provide maximum discretion and flexibility to the DEP Commissioner. Strict compliance with rules can sometimes produce unreasonable, unfair or unintended results that may actually undermine, rather than advance, the legislative intent of its enabling statutes or rules. In response to Governor Christie’s Executive Order No. 2, which directs State agencies to implement common sense principles, the DEP will accept requests for waivers of a rule requirement beginning August 1, 2012. Aside from the fact that a mere 1 sentence reference to Legislative Intent is absurd on its face, just what are the policies behind that “common sense” slogan? Christie policy of “regulatory relief” and “waivers” simply contradict the Legislature’s CWEA policy. So, when will a bold legislator conduct oversight and demand accountability at DEP? When will some intrepid reporter start asking some questions? When will environmental groups put the heat on? [end note for wonks only: mandatory enforcement becomes even more important as compliance with the Clean Water Act TMDL and “water quality based effluent limits” (WQBELs) drive stricter permit limits. No doubt, the mandatory penalties of the CWEA have weakened existing permits, because DEP seeks to provide a compliance “cushion” to polluters and protection from mandatory penalties for permit violations. Those cushions evaporate as TMDL’s and WQBEL’s are imposed – which explains the slow pace of the TMDL program and reversal of the McGreevey Administration’s WQBEL policies. This is the second issue we explore in the clean water series. If you live in one of the more than 400,000 NJ homes that get drinking water from a private well, the odds are about 1 in 8 that your water is unsafe to drink. Let’s repeat that: if your water comes from a private well, the odds are 1 in 8 that it is polluted and unsafe to drink. That shocking statistic was reported by the NJ Department of Environmental Protection (NJ DEP) in a 2007 Report of data collected under a 2001 law known as the Private Well Testing Act. Once the local health authority is notified electronically by NJDEP or directly by the laboratory, the health authorities may (but are not required to) notify property owners within the vicinity of the failing well. However, because these individual tests are considered confidential, the exact location of the well test failure cannot be identified. Since that 2007 Report, the DEP has not publicly reported the results of testing of private drinking water wells for over 5 years. After the law was passed in 2001, the initial PWTA Report was issued in 2004, and the second 3 years later in 2007. As the program matures, reporting frequency should increase, annual Reports should be the norm. So, what explains the 5 + year delay? All this is scandalous, no? The most recent DEP report was issued for data collected from from September 2002 through April 2007, over 5 years ago. So, the odds are actually greater than 1 in 8 that unsafe pollutants are in your well water and flowing out the tap in your kitchen sink. But it is not only the quality of drinking water that is of concern. Similar management failures at DEP involve the quantity of drinking water. The legislative mandated Statewide Water Supply Master Plan Update is many years overdue – thecurrent plan was adopted in 1996, and is based on data even older than that. As a result of DEP inaction, the public is in the left in the dark regarding the safety of drinking water and quality and quantity of public water supplies. New Jersey (NJ) is the most densely populated state in the U.S. It is estimated that over 85% of NJ’s 8,700,000 residents (2007 census estimate) obtain their drinking water from public water systems. The potable quality of the water derived from these systems is assured through a variety of federal and state drinking water regulations. There are no federal regulations assuring the quality of the water consumed by the population who obtain their drinking water from private wells, either in single residences or multiple unit buildings. Over the years, a number of contamination events have occurred in private wells throughout the state. As a result of these events, in 2000 legislation was proposed to assure the quality of water drawn from private wells. 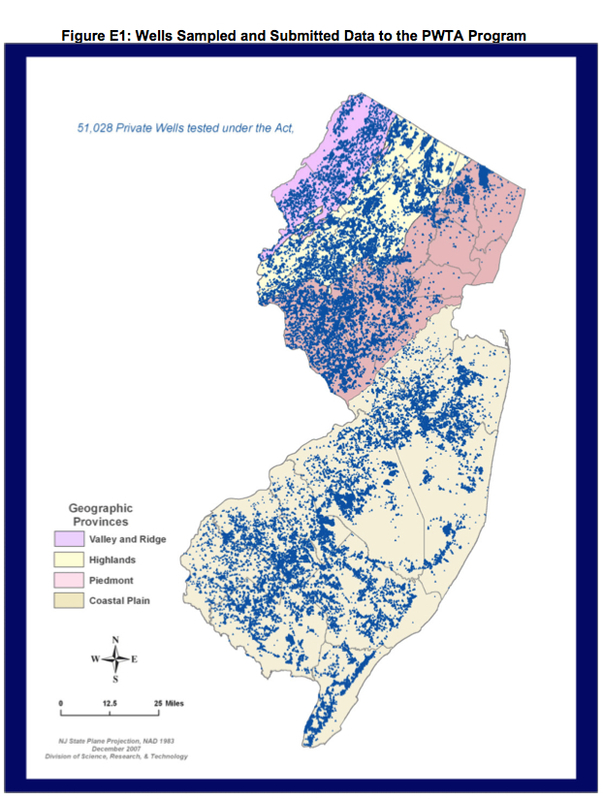 On March 23, 2001, the New Jersey Private Well Testing Act (PWTA) was signed into law (NJSA, 2001) and its regulations became effective September 16, 2002 (NJ Reg, 2002). One county in NJ (Ocean) had a private well test program in place prior to passage of the statewide PWTA. That program was begun in 1987. What will it take to get DEP to do its job to set science based drinking water standards and provide current data to homeowners and consumers about the safety of NJ’s drinking water ? adopt regulations on hundreds of chemicals known to be present in water supplies? release the long awaited Water Supply Master Plan Update, which is years behind schedule? Issue the latest Report of PWTA data? Require state of the art treatment of all drinking water sources? To paraphrase William Greider, Who will Tell The People? When will reporters and legislators begin to ask DEP tough questions about these unprecedented failures to protect public health? The state Department of Environmental Protection just posted detailed results of private well testing in New Jersey. A combination of heat, allergies, and allergy medicines have me knocked down today, so we’ll take this time to preview an upcoming series of posts on DEP performance. That kickoff post focused on the Clean Water Act TMDL program. We show that DEP recently has taken action to use the TDML program to rollback pollution limits for sewage plants discharging to highly sensitive trout streams, and preview a battle brewing on DEP’s pending rollback of “Category One” (C1) stream buffers. Litigation on Highlands Septic Density Standard – Where Is It? What Ever Became of the Source Water Protection Program? We promise to keep readers and activists informed and will lay out our critique, based on DEP’s own documents. I usually try to stay below the radar on military dominated national holidays. My sense is that I bite my tongue, repress my views, and try not to offend those that truly believe in the US Imperial War Machine. But, sometimes, the frenzied celebrations of the wingnuts (last night’s PBS celebration is an example) force me to respond. In those cases, I post the Classic anti-war screed, “War Is a Racket” by US Major General Smedley Butler, USMC. Arlington West Mission Statement In accordance with the Veterans For Peace Statement of Purpose, the Arlington West Mission Statement is to remember the fallen and wounded to provide a place to grieve to acknowledge the human cost of war to encourage dialogue among people with varied points of view to educate the public about the needs of those returning from war.To take in the full expanse of crosses, one stands breathless at the enormity of what one sees. 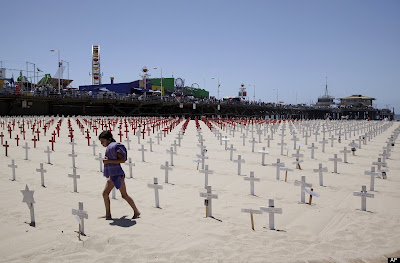 Each cross, carefully positioned in the sand with a uniformity appropriate a memorial for this purpose, represents all American military personnel who’ve lost their lives in the US war and occupation of Iraq and Afghanistan. Upon deeper reflection, Arlington West also powerfully represents the path our country has embarked upon. 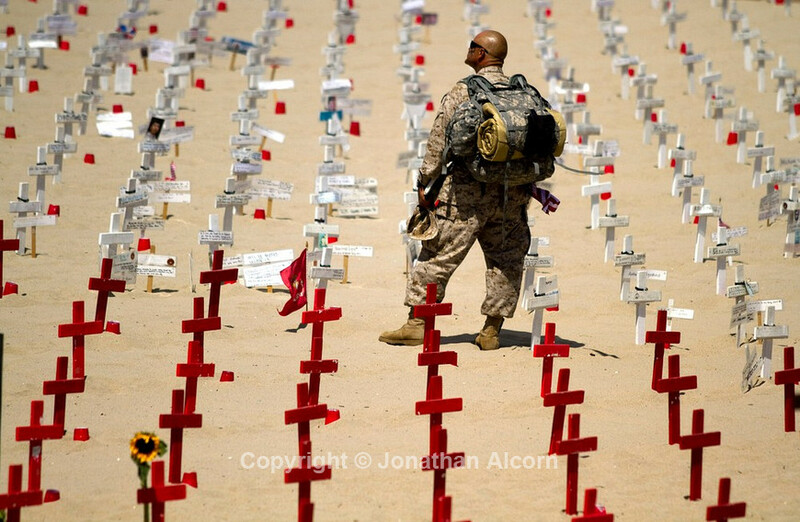 When one visits the Arlington West Memorial at Santa Monica, one will see mementos placed on some of the crosses, many with fresh cut flowers. Arlington West also represents those who’ve lost their loved one or close friend. For those who’ve lost their lives within the week past are flag draped coffins with blue crosses positioned in front of each of these. The cross was chosen for its simplicity, not for its religious connotation. 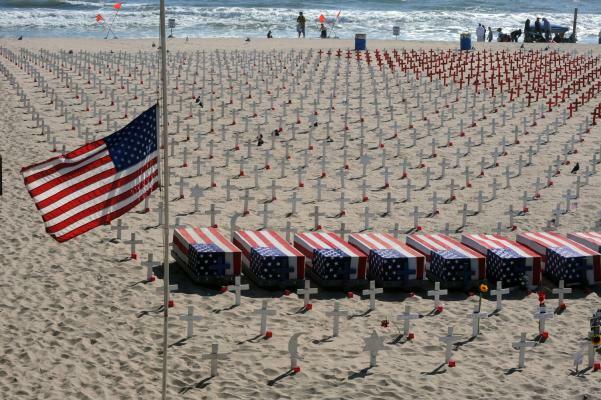 This Memorial Day we will once again remember and reflect upon all Americans who’ve lost their lives in Iraq and Afghanistan. To date, the United States has sacrificed (officially acknowledged) 4,486 of its military personnel in its war and occupation of Iraq, not counting those lost to the war and occupation of Afghanistan. We will also reflect upon and remember all US military personnel who’ve committed suicide, often times due to Post Traumatic Stress Disorder. We reflect upon the inadequate and all too often total absence of help our military personnel are faced with both in and out of military service and of the insistence of the US military to over rely on perscription drugs as a form of treatment. Rather than address the root cause of the high rate of suicide among military personnel – that being military conditioning to accept the carnage and violence of war as acceptable and healthy to defend the American Way Of Life – the military’s response is to sedate them with psytropic medications and simply re-deploy them into combat. That there have been thousands (upwards of 1 million or more by some statistics) of innocent people who’ve lost their lives in the violence of the invasion and occupation is without question. As Veterans For Peace, we also acknowledge there are innocent people on the receiving end of our benevolent bombings that did not live to experience the liberty and freedom we brought with them. Weather permitting, we will set up the memorial beginning on Saturday, May 26th at 8am with a candle light vigil placed at the base of each marker at dusk on Sunday. Take down of the memorial will commence of Monday, May 28th around 3pm. The public is welcome to volunteer for set up and or take down. Please introduce yourself at the information table for guidance on procedures and protocols observed within the memorial and its artifacts.